NEWS Junior Club Open Day. Saturday 24th November 10am to 2pm at Penwith College. No charge. 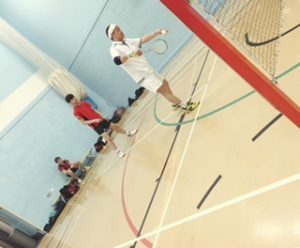 Mounts Bay Senior Club restarts on Thursday the 6th of September 2018. The Junior Club starts on Thursday 13th September. 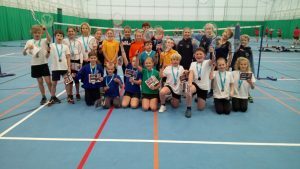 At the Cornwall School Games yr 5/6 Badminton competition the Penwith Final was held at Mounts Bay School on Monday 5th December. The Top 2 teams qualifying for theCounty Final to be held in Wadebridge in June 2017. What a fantastic competition, all six schools are to be congratulated with an awesome final match to decide the GOLD medal. St Marys and Pendeen went head to head and such brilliant rallies were a credit to the young players in each team. St Marys ran out winners accumulating a very impressive total of 440 Points over their 5 matches. Pendeen a close second place with over 400 points. St Uny took the Bronze medal. Congratulations to St Just, Mousehole and Marazion for giving their all ..a great credit to their schools. 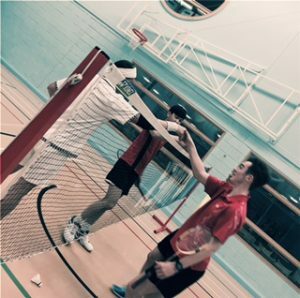 Club congratulations to Alec and Noah who played some exceptional badminton in the St Marys Teams taking their school with high expectations onto the County Final. The Senior club restart on Thursday the 6th of September 2018. The Junior club starts on Thursday 13 Th September. Memberships will be due at that point. 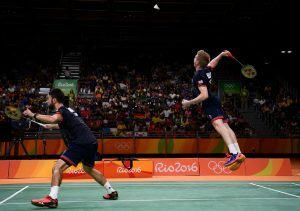 Englands Marcus Ellis and Chris Langridge triumph against the odds to win the first ever Bronze medal in the mens doubles!